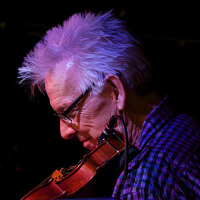 Kit Eakle is an internationally known jazz violinist, violin teacher, educator, and publisher of music education materials. He has a Master's in Music Education from The University of Victoria, Canada. He is currently working on a book about the history of jazz violin. All About Jazz musician pages are maintained by musicians, publicists and trusted members like you. Interested? Tell us why you would like to improve the Kit Eakle musician page.